Whew! This one has been in the works for a long time. 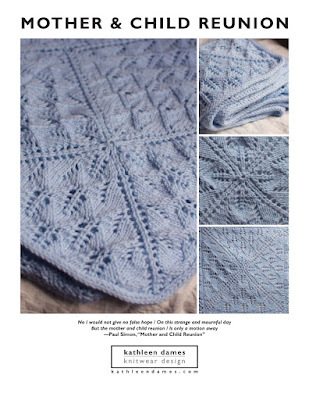 Happily, it's finally ready to meet the world, thanks to liberal doses of mathematics and common sense from the test knitters and tech editor. Similar in yoke structure to An Aran for Frederick and An Aran for Anne, with a seamless hybrid yoke thanks to the originating genius of Elizabeth Zimmermann, Sailor's Valentine went "cardigan". The seafaring motifs of Reef Knots, Triple Gull Stitch, Sailor's Rib, and Twin Waves are romanticized with the Heart Strings motif running up the center back all the way to the hoods conclusion. And that hood concludes at the front, thanks to it's short-row-heel-style construction. I hope you like that hood because the amount of re-knitting necessary to make that happen could have produced another sweater! But that's what happens when I get an idea in my head. Sometimes it clicks right away and other times I have to work it until it makes sense. Happily, it worked out. Like my other arans, this one jumps into the cables right away. I'm not a big fan of ribbing at the bottom of sweaters - it's not a look for me. 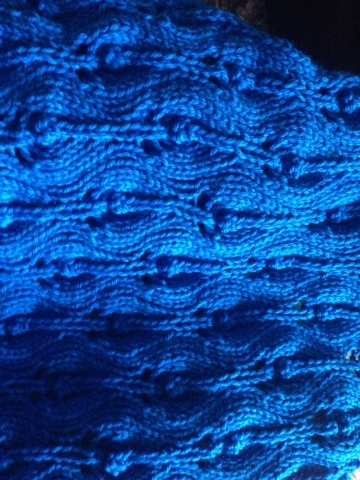 However, Knitter's Choice, so if you need to start with some ribbing, go for it. Also, Knitter's Choice is the ribbing at the sides, which I used to add a little shapeliness to this sweater without having to do actual waist-shaping. If your Valentine prefers things a little looser, try Seed or Double Moss Stitch instead, which would make things a little more jacket-like. The original Sailor’s Valentines were shell-encrusted boxes brought back from Barbados for sailors’ sweethearts. Today, keep the love alive with Reef Knots, Heart Strings, Twin Waves, and Triple Gull stitch (cables provided in chart form). All those cables combine to make a seafaring sweater of love, perfect for any Valentine (replace the side ribbing with seed stitch for a less-fitted, more unisex sweater). Cardigan is worked flat in one piece, with sleeves incorporated into a seamless hybrid yoke topped off with a turned-heel hood that allows the Heart Strings to continue all the way up and over the hood. 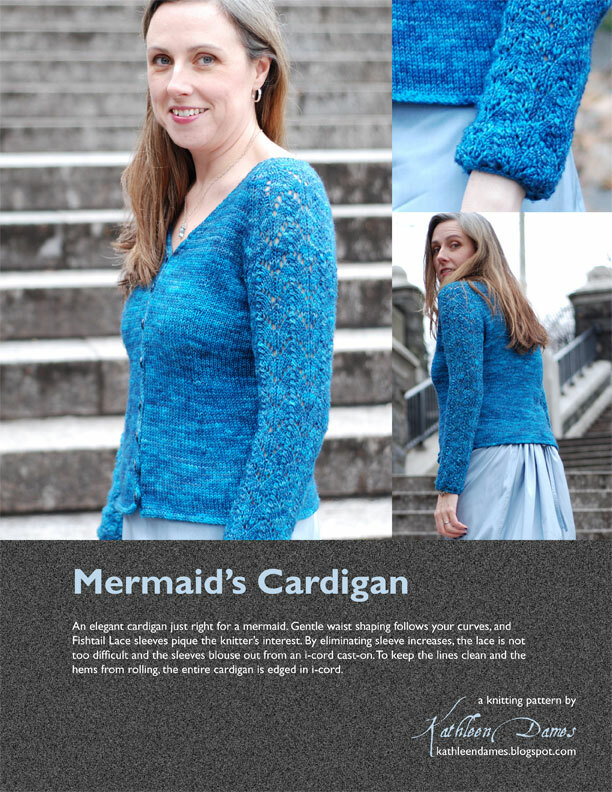 Sailor's Valentine is available for $6 on Ravelry, Craftsy, and Etsy, or by using the button below. Today, on top of the threatening (but not delivering) weather, and Stephen's stomach bug (at least all the doorknobs, light switches, and bathroom are now clean), I've been wrestling with the final numbers for Sailor's Valentine. It is a lovely sweater, if I do say so myself, but the yoke and hood took me three tries to get right, and making sure my numbers are correct and work across seven sizes is a challenge. Here's an outtake from Sailor's Valentine's photo shoot at the Maine Maritime Museum last summer. I'm hoping to release the pattern next week!